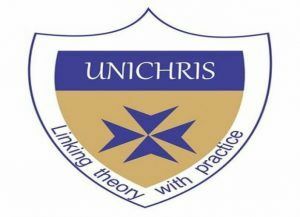 Christopher University (UNICHRIS), Direct Entry (DE) admission for 2017/2018 academic session is out. All interested candidates as well as members of the general public are hereby informed. Christopher university offers Direct Entry admission to candidates with the requisite qualifications.See the available courses, requirements and other vital information below. The following courses are available for Direct Entry admission into Christopher University. A minimum of five (5) GCE/WASCE credits at not more than two sittings with at least two Principal or Advanced level G.C.E. and the others. Two passes at the IJMB Advanced Level Examination, Cambridge moderated Schools of Basic Studies Terminal Examination, JUPEB with SSCE/GCE, NTS/NBC credits equivalent in three other subjects. Passes in two major subjects in the NCE with S.S.C.E., NTC/NBC credits or equivalents in THREE other subjects. DIRECT ENTRY REGISTRATION GUIDE (AS STATED ON THE JAMB WEBSITE WWW.JAMB.ORG.NG) Registration fee for the 2017 Direct Entry is Five Thousand Naira (N5,000). Candidates should note that e-PINS being purchased are tied to individual profile and are not transferable. Login to your dashboard and click Direct Entry Registration to print the Pre-payment Slip. DEADLINE: At the time of this post, the deadline has not been set.